These are dizzy days for Northern Ireland, with their 34-year wait to play in a major tournament finals now over. As they contemplate some summer weeks in France, though, one of their exiled strikers is clicking in America. California-based Charles Bamforth, adopting a more contemporary stance than usual, went to meet him and raise a glass of the black stuff. It must have taken great courage and belief to walk away from a productive goal-scoring career in Ireland and Scotland to sign for a club yet to play a game. That is exactly what Tommy Stewart did when he joined the brand new Sacramento Republic in the summer of 2014. As we shall see, it turned out brilliantly – and when he and I chatted over a pint of Guinness in De Vere’s Irish Pub in the city’s downtown, I was left in no doubt that the bearded striker intends to be part of the club getting even bigger and better. Tommy, however, looks back to his time as a trainee with Wolves for his head start in the game. He was born in November, 1986 (the month Steve Bull moved from Albion to Molineux) in Craigavon and his first club was Portadown. “My dad used to take me to watch them as a kid, so I got to see them playing some of the bigger teams,” he said. “It whetted my appetite and, when I signed for their boys’ club, I caught the eye of several clubs. 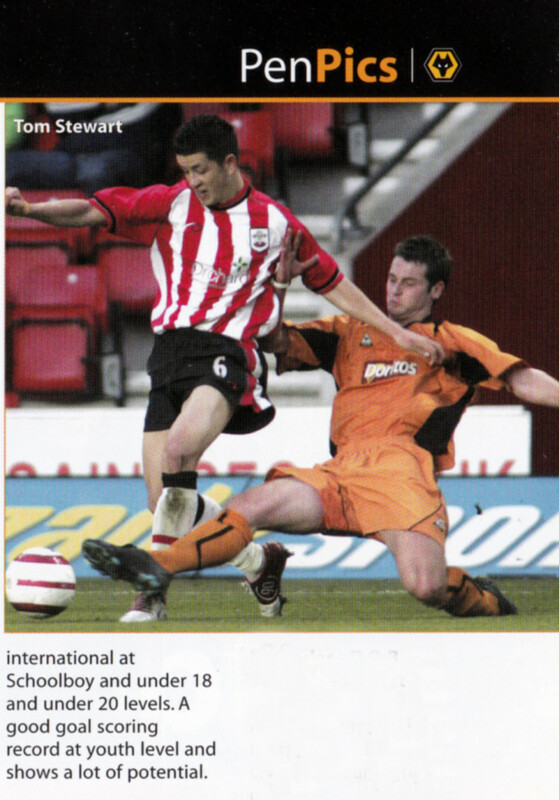 ‘Thomas’ Stewart, as he was referred to on this pen pictures page of the Wolves v Southampton FA Youth Cup semi-final programme in 2005. Stewart developed well in the youth set-up with John Perkins and advanced to play a significant number of games in the second team, captaining them from his regular centre-forward position. He made the first team for one friendly at Telford, partnering Kenny Miller up front and scoring. But it was during the FA Youth Cup run of 2004-05 that Tommy made perhaps his most notable contribution. In that Saints side were Theo Walcott and Adam Lallana, with a certain Gareth Bale on the subs bench. Wolves’ team was hardly slouchy, with Wayne Hennessey and Mark Davies joining Tommy in a set-up in which Stewart was top scorer. A change of manager can work to a player’s advantage or disadvantage and Tommy’s fortunes declined after Glenn Hoddle stepped into Wolves’ hot seat. Thus it was back to the Emerald Isle in September, 2006 and a first-team slot at Linfield. Quite so; two league titles and two Irish Cup wins, with a personal haul of 14 goals in 46 games for Tommy. His capabilities as a front-runner were clearly apparent and he was now earning under-21 caps for Northern Ireland to add to his collection of appearances for the under-15, under-16, under-17, under-18 and under-19 sides. All told, he appeared 19 times for the under-21s and scored four goals. He even skippered a side including Steve Davis, Kyle Lafferty, ex-Wolves colleague Sammy Clingan and Niall McGinn, who remains a close friend of his to this day. Stewart also represented the Irish Football League side. The productivity continued with ten goals in 43 matches, a winner’s medal in the FAI League Cup and appearances in the Europa League but they were troubled times for a club who went bust at the end of the season. His goal return was ten in 32 appearances, including the winner against Tel Aviv club Bnei Yehuda that steered them to a tie with the mighty Juventus. The club secured the League of Ireland championship that season. Tommy chose to return across the Irish Sea in 2011 – this time to Scotland and Partick. “Ian McCall was manager but my old colleague from Wolves, Jackie McNamara, knew he was in line for the job next and he wanted me. Although Tommy notched six goals in his 17 appearances, he was glad to return to Shamrock a year later. He scored 11 goals in 42 games in this second stint in the green and white hoops but continues: “Brian Laws came in as manager and brought in his own players. “I worked my way back into his team and scored for him. Things were going well but when my contract came to an end, I was not keen to re-sign. My first thought was that I would explore playing in Europe, perhaps in the Spanish League, but then someone I knew from Rovers asked whether I had thought about the States. “I was on holiday in Tenerife when the text came through about Sacramento. I Googled the club and found they were a new set-up with big ambitions. I thought about it for a long while and really wasn’t sure. “I received offers from several clubs but nothing felt right. So I spoke to the Technical Director, Graham Smith (the former Colchester and West Brom keeper) and the club took a look at the dvds of me. I went over for trials so the coach Preki (the old Everton player) could look at me. And of course I signed. I can speak with some understanding of this, Sacramento being my local club these days and one with whom I have done some media work. 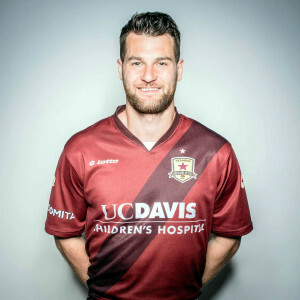 Tommy Stewart is a key member of a side who took the United Soccer League by storm in their first season in 2014, winning the championship in front of capacity crowds, first at Hughes Stadium (home of the Sacramento City American football team) and then the purpose-built Bonney Field, which will be home until a brand new top-class stadium is built downtown in the not-too-distant future. The club are eager to step up to Major League Soccer at the earliest opportunity – and the city has demonstrated that its people are very much behind them in their mission. “As I talk about it, the hairs still stand up on my arms,” Stewarts says. “When we travelled to the first game at Hughes Stadium, we thought there might be 3-4,000 there. Instead, it was a 20,000 sell-out and the noise was deafening. Fantastic! Tommy top-scored for the club last season with 13 goals in 28 games. As I write, he has five from ten this time round. As he has discovered, it is quite hot here, with the midday temperature frequently approaching 40oC, so he has learned what the best times are to take his turn on the golf course or head to the river. He has also discovered the joys of San Francisco and Lake Tahoe 70 or 80-mile journeys in opposite directions. Bearded and booming in California. 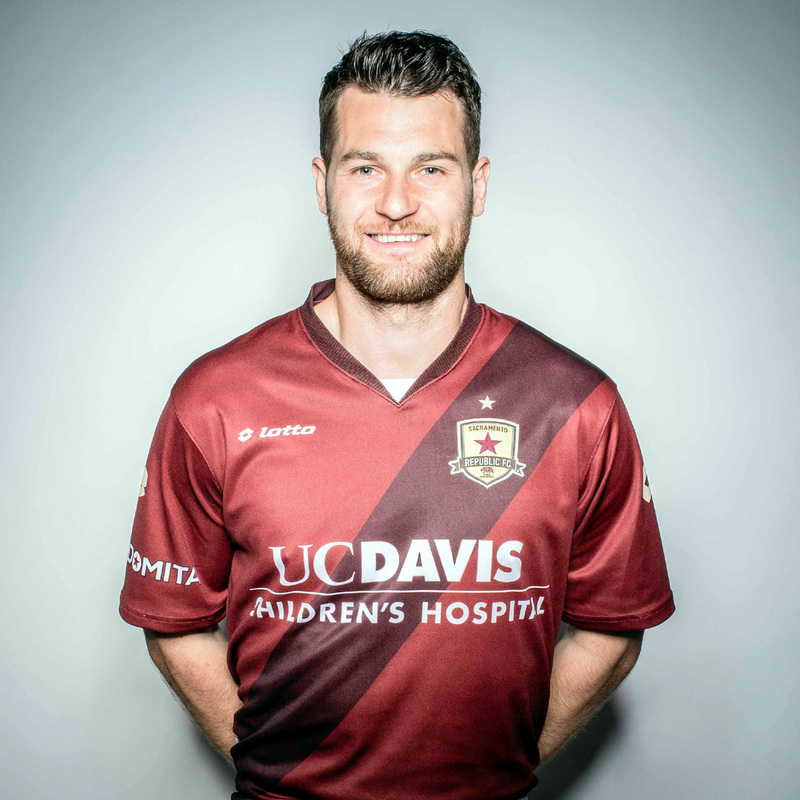 Photo courtesy of Sacramento Republic FC. Those formative years at Molineux seem a long time ago now, although the memories remain vivid, above all the time he was the subject of a prank brought about by his beloved Northern Ireland defeating a star-studded England side 1-0 in a World Cup qualifier in September, 2005. It would not have been a problem here in Northern California – it would have melted and dried in minutes. Posted on: Thursday, October 15th, 2015.